The LED cluster lamp contains 400 Warm Incandescent-White (3200K) LEDs arranged in a light optimizing design. 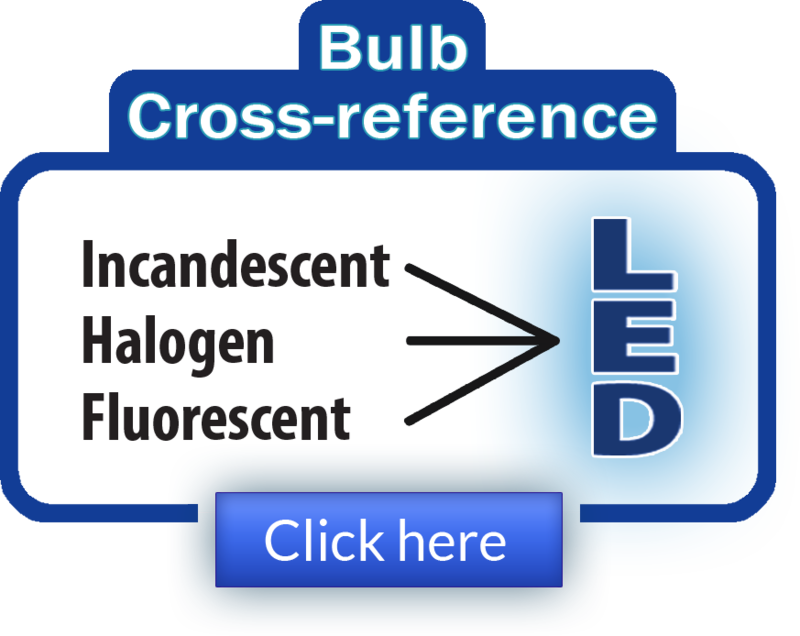 Architects, urban planners and lighting professionals will find that the 3200K White LEDs emit a pleasing warm incandescent-white light and have a diode life of over 100,000 hours that makes them excellent replacements for standard incandescent lighting along minor roads, pedestrian walkways, in parking lots and for maintenance-intensive and ornamental lighting applications. This LED Streetlight lamp with its 19-Watt power draw and high-intensity light output make it ideal for use with alternative energy systems like solar and wind power. Using LED lamps with renewable energy sources helps to reduce the reliance on fossil fuels. When purchased independently of the housing, the lamp is available in both Type 1 and Type 2 styles. Type 1 lamps have to be hardwired into the cobra head fixtures. The Type 2 lamps feature male 39mm mogul bases that screw into the socket of the fixture. The LED Streetlamp may be purchased as a retrofit lamp for existing installations’ old style cobra head fixtures or as an integrated part of a complete assembly that includes the housing and lens. 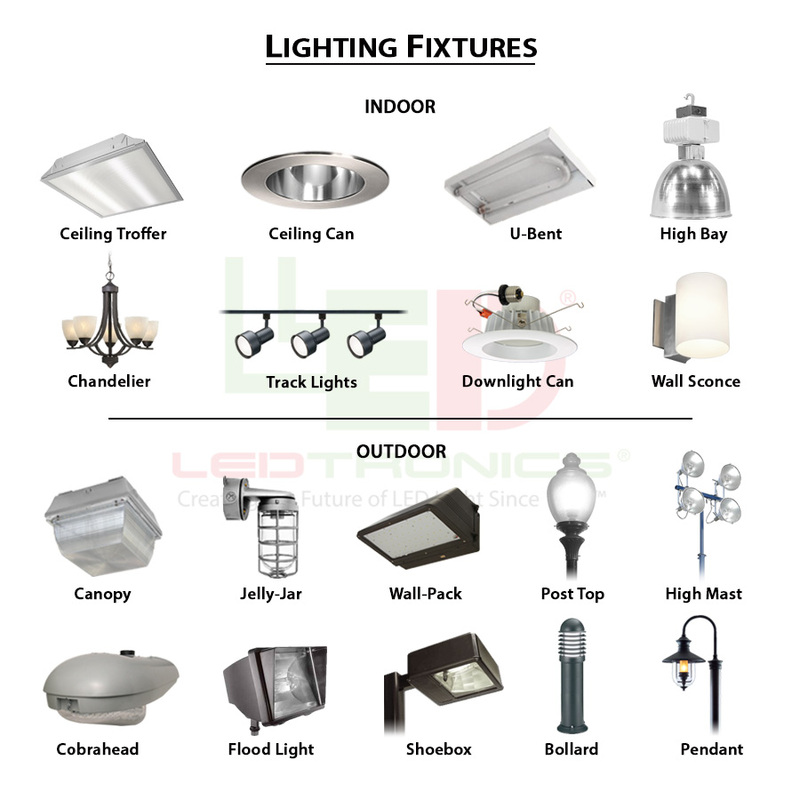 LEDtronics offers a die-cast aluminum MSCL M400 Luminaire CobraHead-Styled fixture with an electrocoat gray finish, universal two-bolt slipfit joint, adjustable mogul E39 standard base socket (house side), and a flat glass lens. 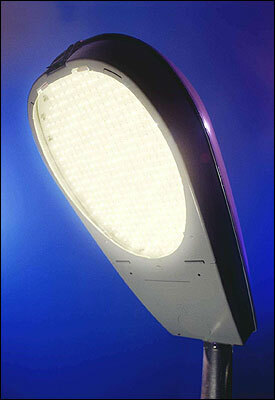 Standard voltage for the LED Streetlight is 120VAC; other voltages available are 12V, 24V, 28V and 240V. Optional LED colors are red, green, orange, yellow, cool white and blue. Light Emitting Diode (LED) technology with its inherent energy efficiency makes an excellent accompaniment to photovoltaic-based energy systems. Solid-state design renders LEDs impervious to electrical and mechanical shock, vibration, frequent switching and environmental extremes. With an average life span of 100,000-plus hours (11 years), LEDs operate reliably year after year and are virtually maintenance free. Founded in 1983, LEDtronics leads where others only follow when it comes to designing, manufacturing and packaging state-of-the-art LEDs to meet the world’s constantly changing lighting needs. Our inventive product line encompasses an array of direct incandescent lamp replacement Based LED Lamps, low-cost snap-in and relampable Panel Mount LED Lamps and holders, high intensity sunlight-visible Discrete LEDs, PCB LEDs circuit board status indicators, surface mount diodes SMT LEDs, full-spectrum rainbow RGB LEDs and Infra-Red (IR) LEDs.